Not for nothing but Mirko Cro Cop still looks more physically fit than 99.99% of the human population. This is great news. Our Uncle Mirko is back after basically high kicking death right in the face. Forget your hospitals. Forget your cemeteries. Cro Cop is down but not out. Not by a long shot. It was only last month when the man, the myth, the head kicking legend, shocked the MMA world when he suddenly retired out of nowhere. Like a kick to our heart, Cro Cop not only retired from active competition but he broke the news he recently had a brain aneurysm. Now Mr. Cop is back in the gym and probably clowning with Satoshi Ishii in new and exciting ways. 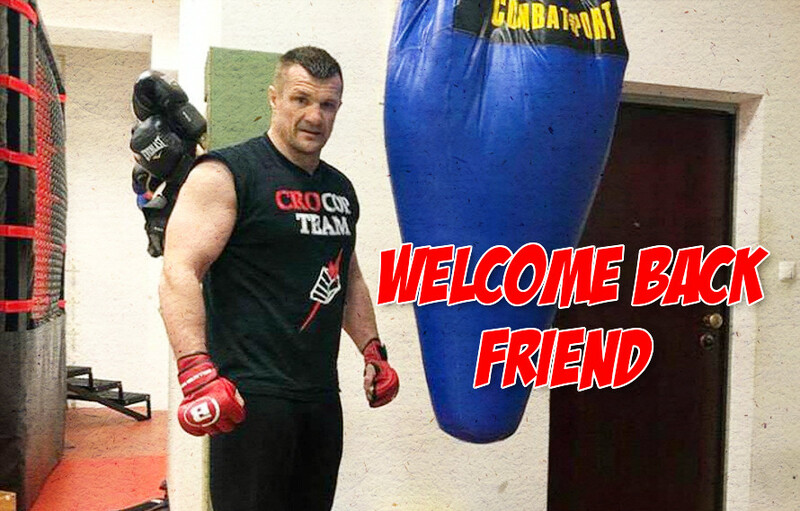 The best news to see Mirko Cro Cop back on his feet and hanging out in the place he loves. Here’s the thing, dude still looks to be in great shape. Stroke? Cro Cop takes your stroke and raises you those jacked arm and shoulder muscles. Just assuming that Mirko was somehow lifting weights while posted up in his hospital bed. Went home on bed rest while still doing pull-ups. Prior to his health scare, the 44-year-old heavyweight was ready to take on more fights in Bellator and Rizin. Cro Cop just couldn’t stay retired until he was forced into retirement. Even when he was semi-retired, Cro Cop looked like he could roll out of his street clothes, likely a custom track suit, and still school top ten UFC heavyweights. Glad your back Uncle Mirko.